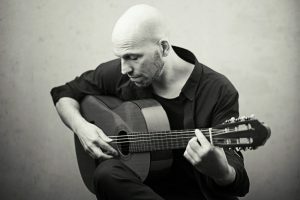 On the track of overtone singing since 1998 and with the heart close to the Portuguese Fado, guitarist Daniel Pircher has found a very own and imaginative way to conjure an entire musical world from the seemingly limited range of the overtone series. Interwoven with the sounds of his classical guitar, he creates a wonderful harmonic variety and joins the archaic roots of overtone singing with the wide horizon, the music can have today. 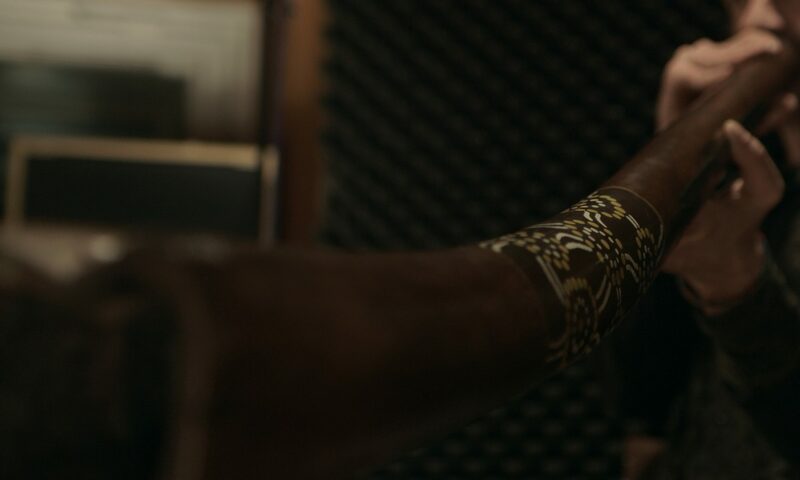 The music of Daniel Pircher is accompanied by the grooves of Marc Miethe’s well-traveled didgeridoo. With humor, inventiveness and Beatbox sounds outgrowing their origins, Miethe’s play fills the rhythmic space around Pircher’s melodies in an unpredictable and energetic way. This musical dialogue is rounded off by sensitive string arrangements, which are masterly executed by Stefanie John. With the Campanula (a cello-like instrument with sympathetic strings and named after a bellflower), she conjures up entire soundscapes in which she embeds Pircher’s compositions. Polyphonic overtone singing is a vocal technique originating from Tuva and Mongolia, which allows the singer to sing two notes simultaneously. By modulating the oral cavity, an additional high flute-like tone is produced to the normally sung tone. Composer, singer, overtone singer, player of the classical and Portuguese guitar, founder of “O.Ton Projekt” and “extravagante”, founding member of “Trio Fado”. Concerts worldwide, amongst other in the Berlin Philharmonie and in various philharmonics in Russia. He learned the art of overtone singing on his own, in 1998 which gained more and more importance in addition to his career as a guitarist and singer. His overtone singing became the concert highlight of every concert of his ensembles “Trio Fado” and “extravagante”. For the 2013 movie “Night train to Lisbon” with Jeremy Irons and Christopher Lee, he composed an instrumental for Portuguese guitar, and also worked as a soloist. lives as a freelance cellist in Berlin. 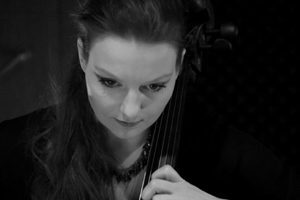 She performs solo with her own compositions and improvisations on the Campanula (cello with sympathetic strings); plays music of various genres in duos, with ensembles and bands and designs concert concepts. The studio musician and interpreter offers a wide range of artistic collaboration. From classical premieres for composers to the recording of film music and arranging for singer-songwriters to whole commissioned musical commissioned productions. As a child, Marc Miethe sang in the boys’ choir of the Deutsche Oper Berlin and discovered the didgeridoo in 1992 as a bass player. With his legendary bands Didges Brew, Circular Breathing, Boobinga or Peshkar, Marc contributed “a significant part to the world language of music” (Zitty) and has been pioneering the didgeridoo in Europe since 1992. He had numerous appearances and workshops at Europe-wide festivals, didgeridoo and company events, at trade fairs as well as on radio and TV. Some highlights were: DLD Conference, World Youth Festival, Respect Festival Prague, Fusion Festival, Sennheiser Global Conference, BMW Formula 1 Party, Thomas Cook, MTV Select or the official opening of the 12th IAAF World Championship. 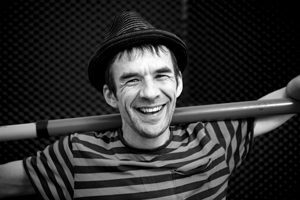 Magnus Dauner is a german drummer and percussionist. 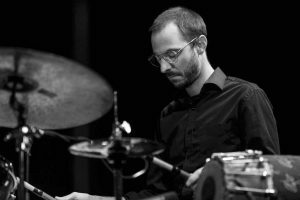 He holds a Diploma of Jazz and Education of „Hochschule für Musik und Theater“ Munich and is several times prize winner of the „Jugend jazzt“ competition. He was also part of the Bavarian Youth Big Band. As a musician Magnus is working in various types of styles and genres and found his latest challenge in the south indian rhythm system. He is studying Indian Rhythm and Mridangam at the Karnataka College of Percussion in Bangalore/India. He was working with international jazz musicians such as Matthias Schriefl, Wolfgang Lackerschmid, Kai Eckhardt, Torsten deWinkel, Paulo Cardoso or Joo Kraus as well as german national known pop acts like Sternblut, Klima or Losamol. Over the years Magnus was playing concerts in China, India, Sri Lanka, Italy, Norway, Slovakia and France.